You may have noticed Evolved Publishing in the sidebars of my blog page — this is the publishing company that will be bringing you And Then It Rained: Lessons for Life in just a few weeks. Evolved Publishing is a co-op of sorts, and as the talented writers, editors, and artists who are a part of it will be working hard to help me spread the word about my own book, I’m returning the favor and telling YOU about some of the other great books that we’re releasing. Our books span a number of genres so if one isn’t for you, keep your eye out for more, or… give it a try any ways! In the world of eBooks it doesn’t cost a whole lot to take a look at something new :). 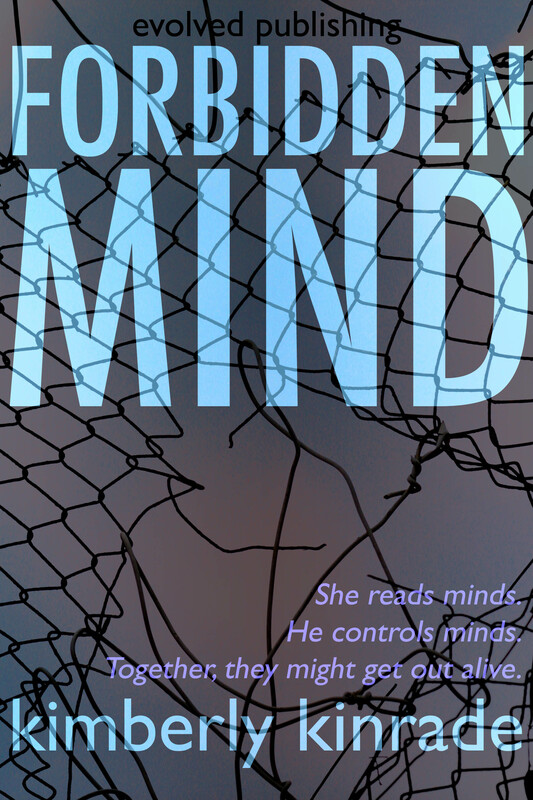 First up today, is Forbidden Mind, a YA Paranormal Thriller (with a touch of romance!) by Kimberly Kinrade. Sam thinks she’s months away from freedom. After spending her life in a secret school, rented out to the rich and powerful as a paranormal spy, she is ready to head to college like any normal eighteen-year-old. Or, if you’re like me and have a Nook, you can download through these sites as well: BookieJar, Smashwords, or Goodreads. Hoo-rah! Exciting times. And Kimberly’s book is one that YA readers will love. Sure, I’m a little biased (I edited it), but really, it grabs you early, moves you quickly through the story, and holds you right until the satisfying ending. Give it a try. Should be all set up now! Yeah, I’m a pest… but could you please add a simple RSS subscription option? I receive all my blog subscriptions via RSS Feeds. Thank you.